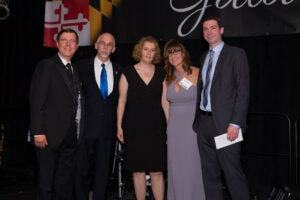 On November 4th, The Children’s Cancer Foundation, Inc.(CCF) held its 33rd Annual Gala and awarded over $1 million in grants to area researchers and programs to advance treatment and cures for pediatric cancer. 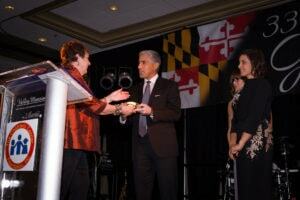 Nearly 600 guests enjoyed the tastes of Maryland and the sounds of NightLife. 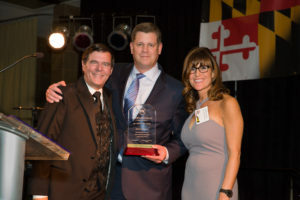 Mark Viviano, Sports Director for WJZ CBS News in Baltimore, emceed the evening. 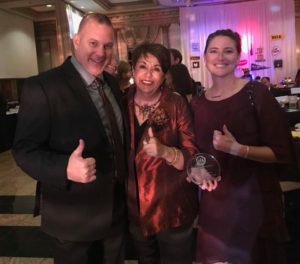 Debbie Phelps, mother of Maryland Olympian Michael Phelps and a dear friend of CCF founder Shirley Howard, presented the Fighter Award to Regency Furniture and the Hero Award to Leah and Joe Offutt on behalf of The Jake Offutt Foundation. 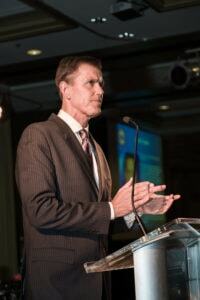 The 2017 CCF Gift of Life Award was presented to ROSS Companies, and was accepted by its CEO, Dave Miskovich. 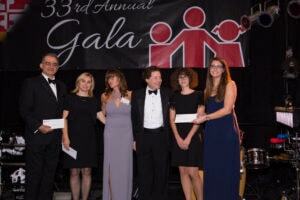 Nine researchers received grants from area hospitals and facilities. A full listing of 2017 Grant Recipients is here. The 2017 CCF video, premiered at the gala, follows the Daniels family and their cancer journey. Meet Ava Daniels and follow her incredible story. 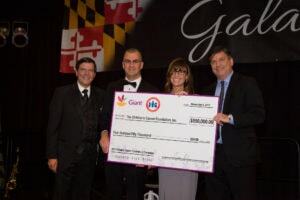 Giant Food President, Gordon Reid, and CCF Board member, Terry McGowan, presented a donation of $550,000 to CCF. Throughout 2017, Giant Food’s pediatric cancer research campaign totaled $2 million. CCF is incredibly grateful to Giant Food for their continued generosity. DPI Specialty Foods and Acosta Sales and Marketing generously donated $5,000 each to CCF for dinner with Gordon Reid of Giant Food. Coca Cola Bottling and Pepsi each donated $5,000 for a dinner with Weis Markets President, Kurt Schertle, totaling $20,000. 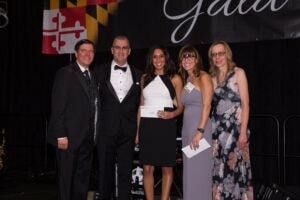 The Children’s Cancer Foundation, Inc. gratefully acknowledges 2017 Gala Donors. The list of 2017 Gala donors can be found here. And, CCF extends our appreciation to all of our volunteers, individuals and organizations who donated their time and services to make the evening successful. WJZ Sports Director Mark Viviano emceed the evening’s program. Joined by daughter Ava, Melissa Daniels shares her family’s cancer journey. Debbie Phelps presents the 2017 CCF Hero award to The Jake Offutt Foundation. Joe and Leah Offutt received the award. Debbie Phelps presents Regency Furniture CEO Abdul Ayyad with the 2017 CCF Fighter Award. CCF President Jerry Chadwick and CCF Executive Director Tasha Museles present the 2017 Gift of Life Award to ROSS Companies, received by its CEO, Dave Miskovich. Giant Food CEO Gordon Reid (R) and CCF Board Member and Giant Food Executive Terry McGowan (2nd from L) present CCF with $550,000 donation. 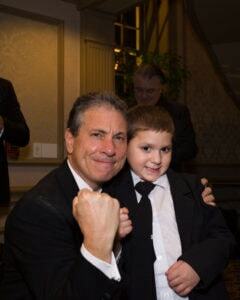 CCF Board Member and pediatric oncologist Dr. Wiley shares some encouraging words with one of our special guests.